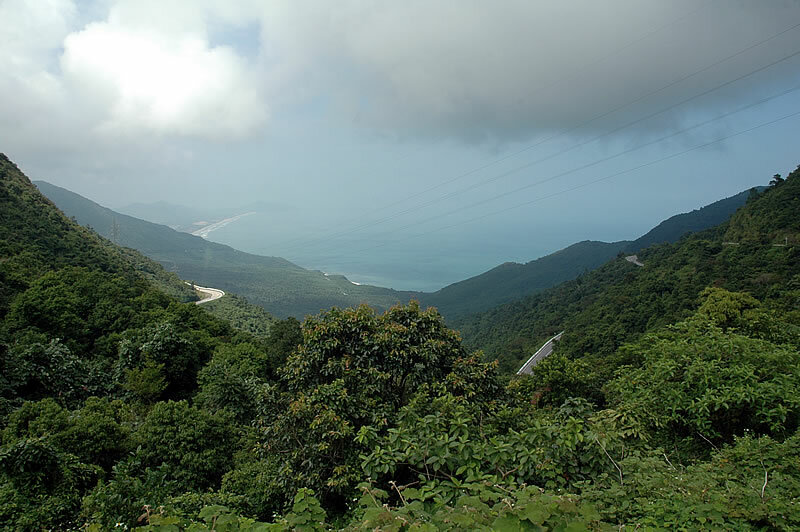 After the train journey (and Top Gear’s Vietnam special) all I wanted to do was ride back up the Hai Van (sea cloud) Pass, one of Asia’s most spectacular stretches of road. 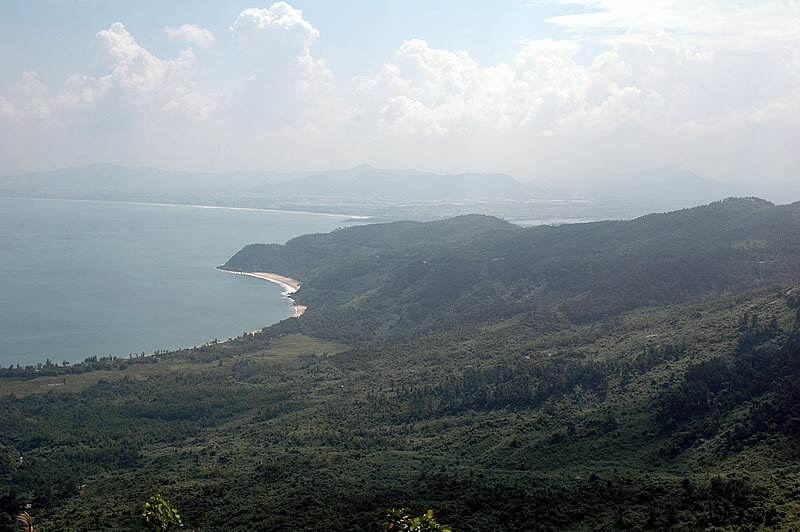 Those maps in the Lonely Planet books are pretty misleading … it’s a bloody long way from My An Beach, south Danang, so we stopped off at ‘Monkey Mountain‘. 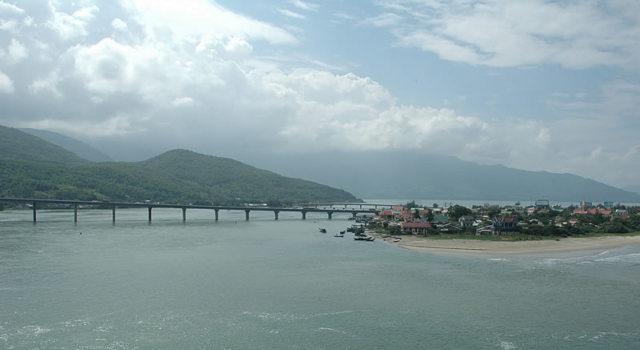 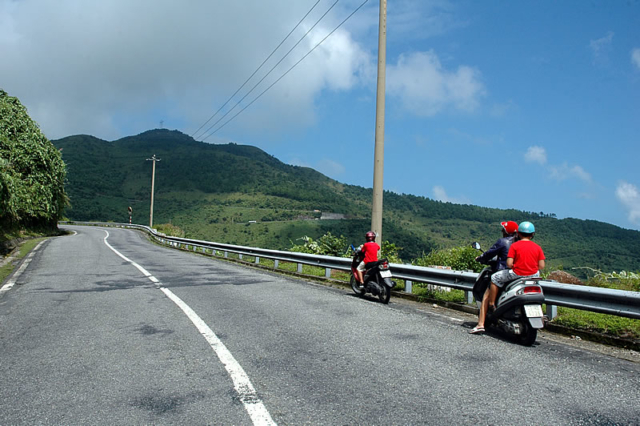 Riding over the bridge into town and out north again along the 15km stretch of Nam O beach where there is no development and not much else we finally reached the foot of the pass and the looming cloud covered hills ahead. 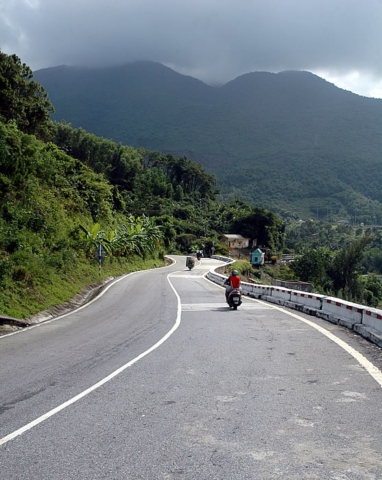 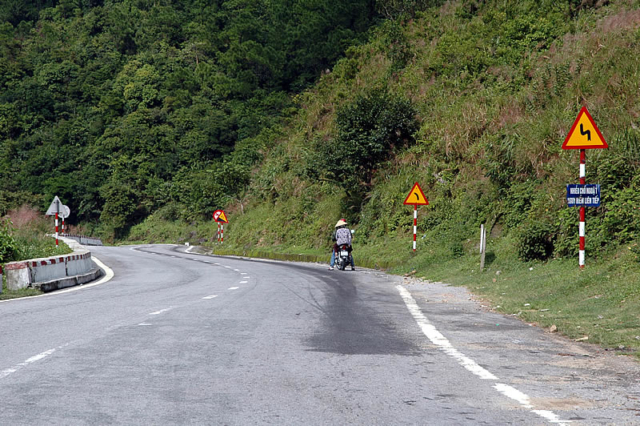 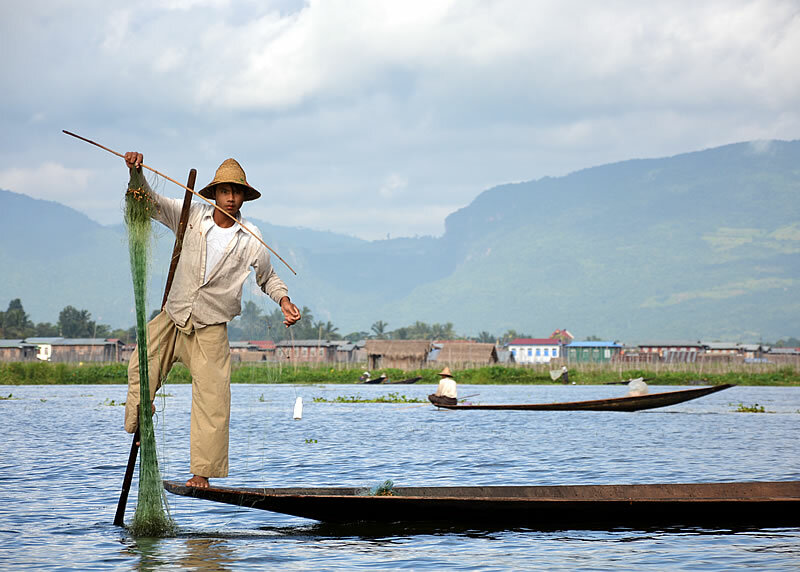 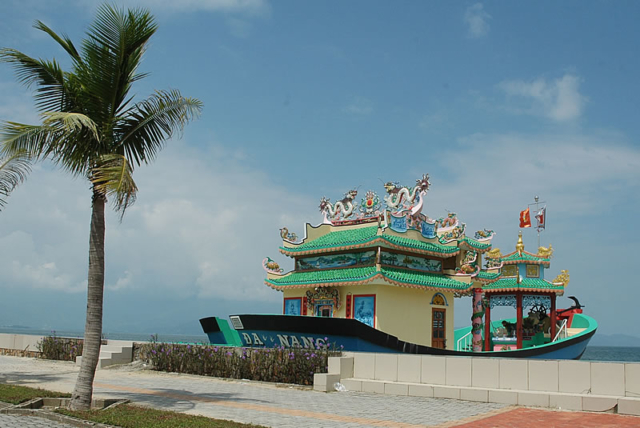 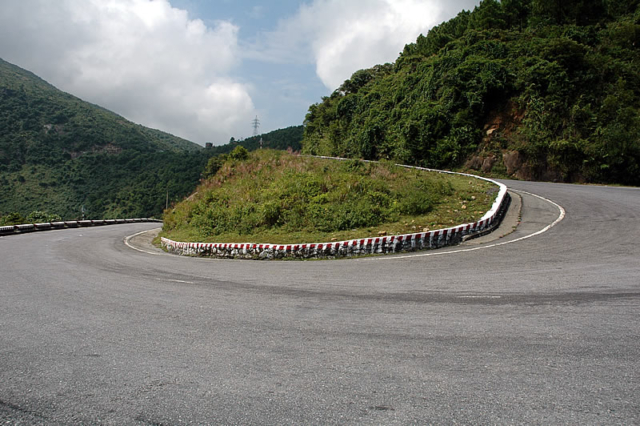 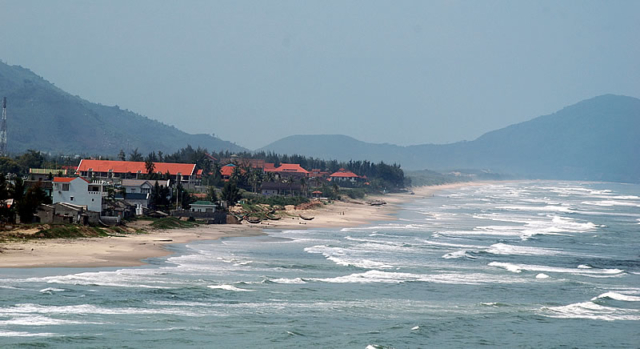 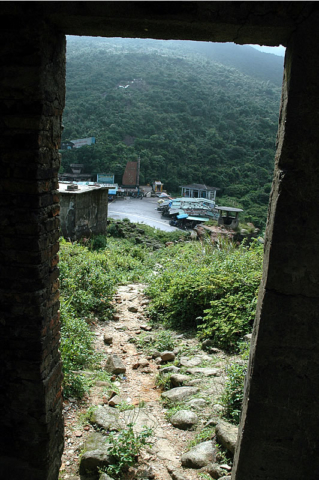 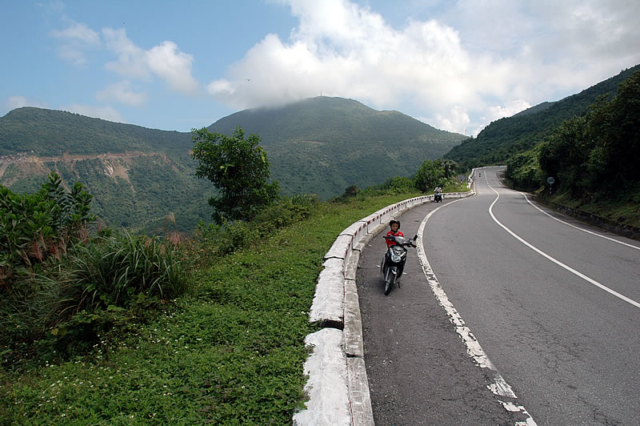 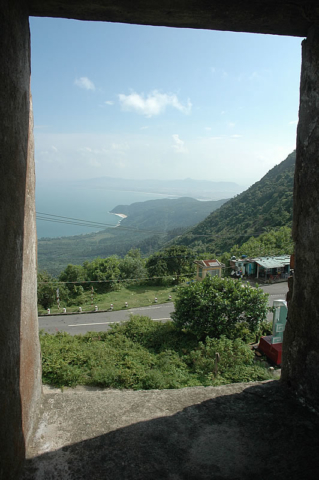 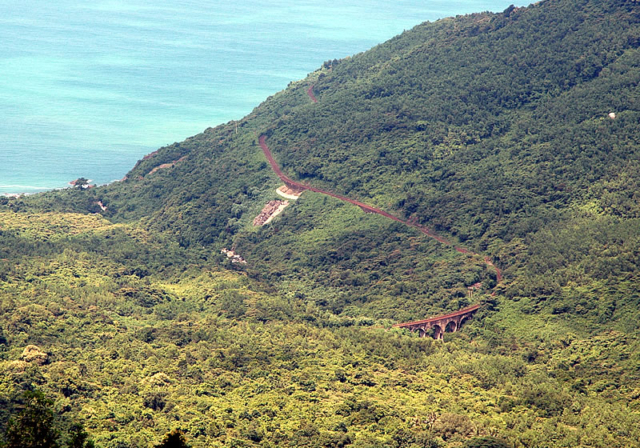 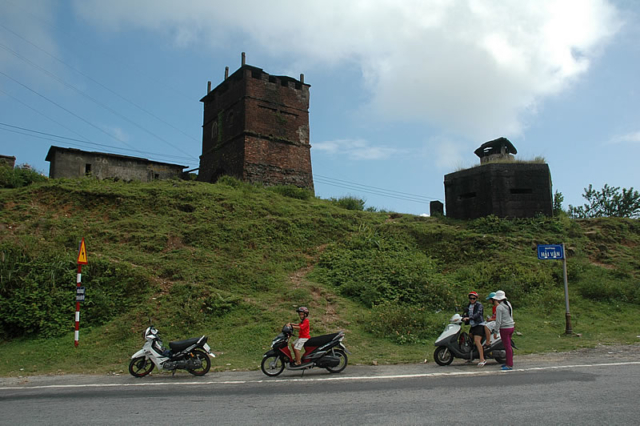 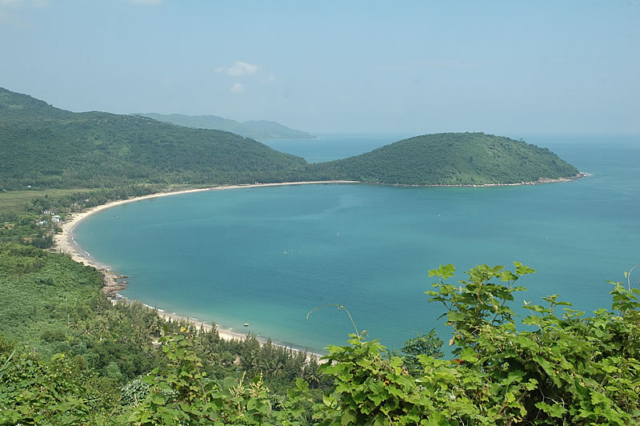 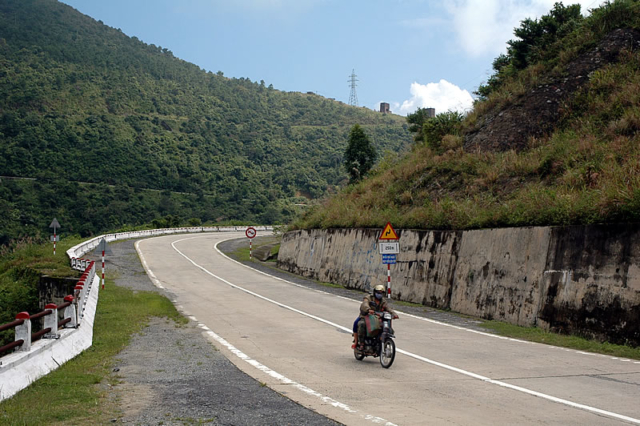 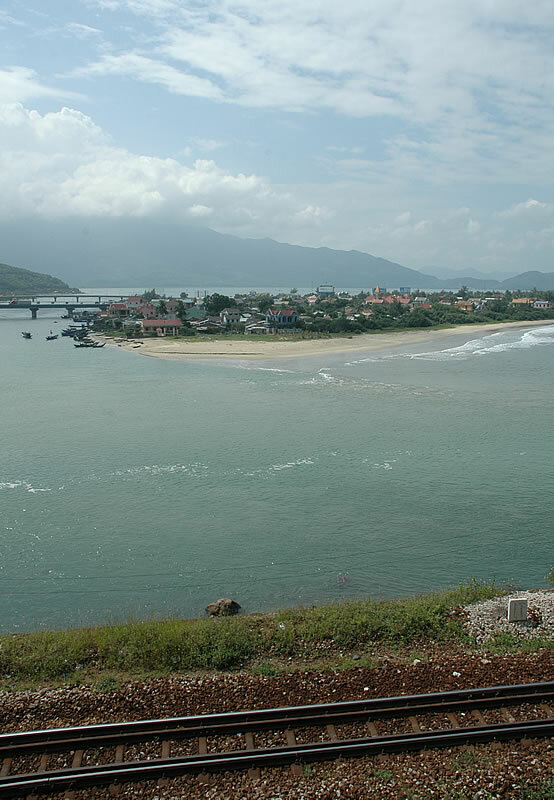 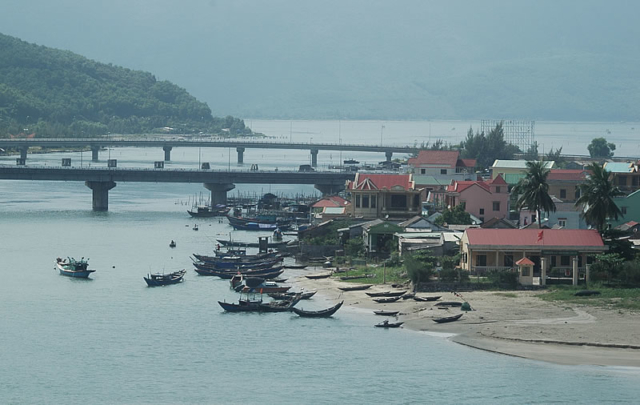 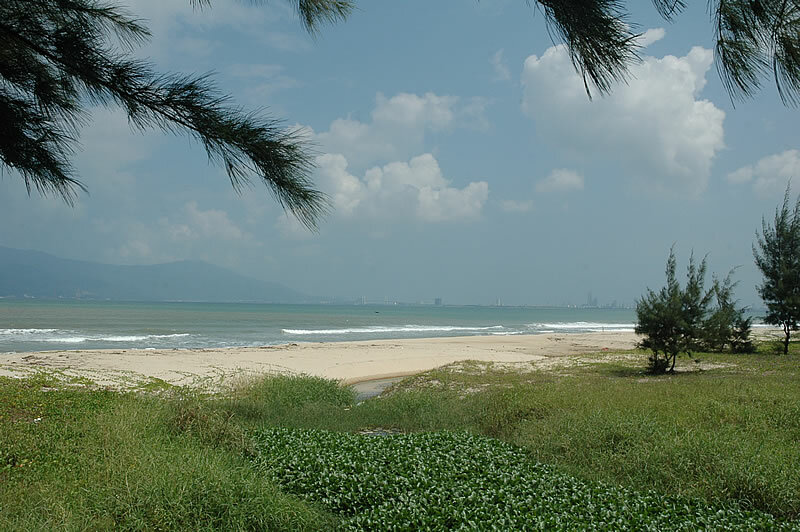 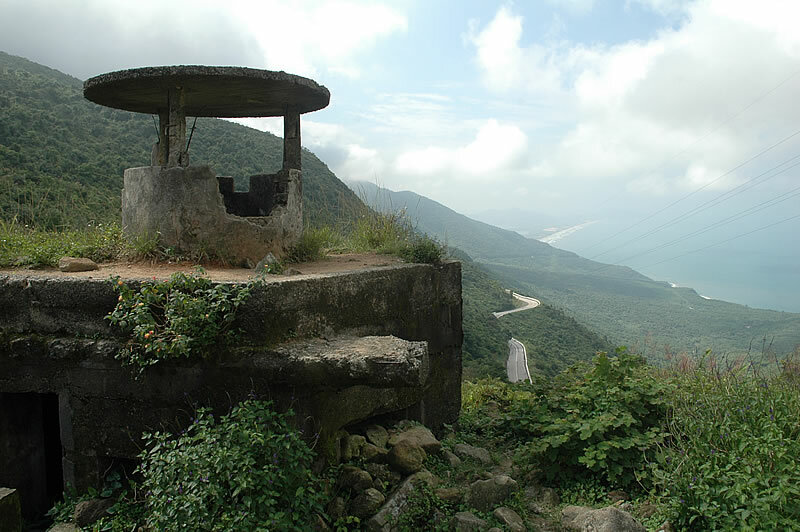 The road began to climb, turn and switch-back its way up into the hills offering fantastic views back over the bay and towards Danang city, 25km to the south. 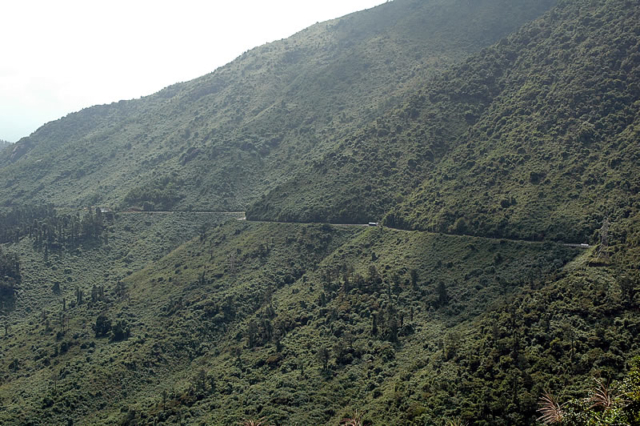 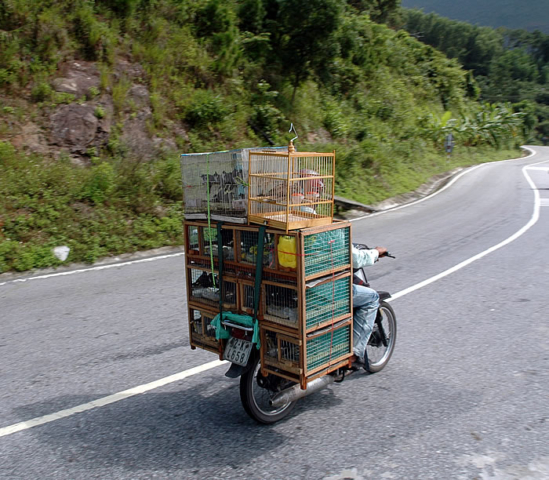 This is a riders road and I would have loved to have been on a bigger bike – but obviously not with the kids! As we neared the summit the scenery and views just got better and on the other side even better still, it was a great feeling to be on the open road and away from all the tourists at last. 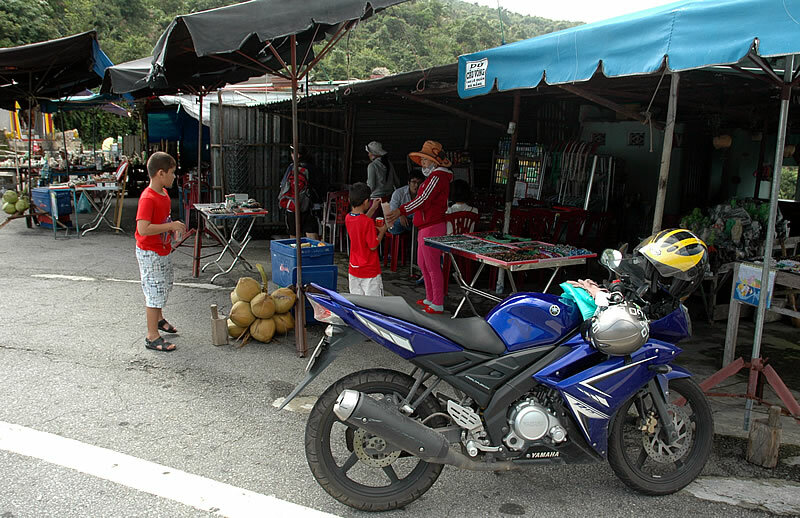 A small outpost was at the summit with the usual pack of trinket sellers and food vendors.